Is Drinking Distilled Water Bad? Home » General Health » Is Drinking Distilled Water Safe for Your Health? Is Drinking Distilled Water Safe for Your Health? Distilled water is water that has been purified using distillation. The water boils until it evaporates and the vapor is condensed back into liquid form. Boiling the water kills bacteria; as the steam rises, it leaves behind contaminants, waste material, and minerals. The steam cools and returns to water, ready to be consumed. Since this process deprives the water of all impurities as well as minerals, is it safe to drink? According to the Environmental Protection Agency, carbon dioxide dissolves in distilled water, making the pH acidic. Some experts believe that drinking water that has an acidic pH level may be dangerous to your health. The pH level of the body should be slightly alkaline. The body will do everything it can to maintain the pH of the blood between 7.3 and 7.4 (slightly alkaline). The neutral pH level is 7.0, so anything below that is acidic and anything above is alkaline. The best drinking water is mineral-rich and will have an alkalinity level between 7.0 and 9.5. Because distilled water is considered acidic, its pH level will be below the 7.0 level. Some doctors believe that the accumulation of acid waste in the body is the cause of many degenerative diseases. Distilled water may be pure when entering the body, but it does not come out pure. Some experts believe that distilled water may cause a mineral imbalance in the body. As this water is stripped of all minerals, extended use of it may leach out of the body’s mineral reserves and result in mineral deficiencies and degenerative diseases. Other studies show how distilled water can detoxify the body—but some experts combat this claim, noting that fasting with distilled water is dangerous, due to the rapid loss of trace minerals and electrolytes, which can lead to high blood pressure. The shape and size of water molecule clusters will determine how well it hydrates the body. After distillation, the water molecule clusters will become larger and thus won’t absorb into the body’s tissues as easily as filtered water, tap water, or ionized water does. When water is stripped of its minerals through distillation, it loses its natural structure. Some experts claim it makes the water useless to the body. Distilled water does not contain any fluoride, and dentists are starting to see an increase of cavities in children who drink distilled water. Municipal water treatment facilities can’t remove all toxins from the water, so some believe that the first choice for safe drinking is distillation (since distillation removes all contaminants from the water). Distilling the water should remove bacteria, pesticides, herbicides, parasites, and pathogens from the water. Women who lived in the first two cities showed more frequent cardiovascular changes, including higher blood pressure, headaches, dizziness, and osteoporosis, compared to those who lived in the third and fourth cities. Results suggest that the minimum magnesium content of drinking water should be 10 milligrams/litre and the minimum calcium content should be 20 milligrams/litre. So can you drink distilled water? The answer is yes, but based on the evidence cited by the WHO, the ideal drinking water for the body should be slightly alkaline, and this requires magnesium and calcium. Since distilled water is acidic, its purpose should be used to draw toxins out of the body, so long-term use might not be beneficial. Whether or not you decide to drink distilled water, consult with your doctor first. Williams, D., “Why You Should Drink Distilled Water,” Dr. David Williams web site; http://www.drdavidwilliams.com/distilled-water/, last accessed October 9, 2015. “Is Drinking Distilled Water Dangerous?” Dustwell.com, November 9, 2008; http://dustwell.com/distilled-water.html. Kozisek, F. “Health Risks from Drinking Distilled Water,” World Health Organization web site; http://www.who.int/water_sanitation_health/dwq/nutrientschap12.pdf?ua=1 , last accessed October 9, 2015. Helmenstine, A.M., “Can You Drink Distilled Water?” About.com; http://chemistry.about.com/od/waterchemistry/f/Can-You-Drink-Distilled-Water.htm, last accessed October 9, 2015. “What are the Dangers of Drinking Distilled Water?” Livestrong.com, last updated June 18, 2015; http://www.livestrong.com/article/372479-what-are-the-dangers-of-drinking-distilled-water/, last accessed October 9, 2015. 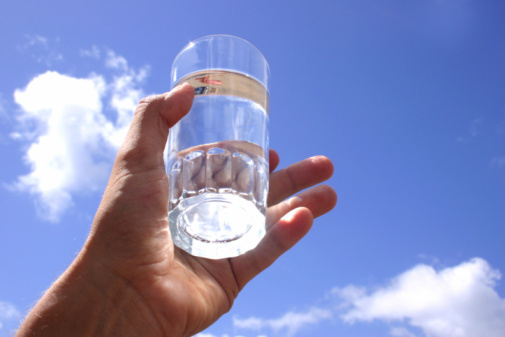 “Drinking Distilled Water: Is it Healthy or Not?” WaterBenefitsHealth.com; http://www.waterbenefitshealth.com/drinking-distilled-water.html, last accessed October 9, 2015.